4-1, 0-4: New Orleans home record and Phoenix road record, respectively. The Suns will try to break through Saturday for their first win outside of Arizona this season, while the Pelicans hope to remain perfect at the Smoothie King Center when Anthony Davis is in uniform (he missed the team’s Oct. 27 home loss vs. Utah). New Orleans has been better at home so far in a wide range of categories, most notably scoring (120.0 at home, 115.5 on road), committing fewer turnovers (13.2, 16.2) and blocked shots (7.6, 4.3). Davis is averaging 27.3 points in his four home games, compared to 21.5 in four road games. He is 6/11 on home three-point attempts, but 1/7 on the road. 30: Phoenix’s rank among the 30 NBA teams in turnover percentage (18.3). New Orleans has dealt with a spike in its own turnovers recently, but despite those issues, the Pelicans are still a middle-of-the-pack club in that department (12th). The Suns have coughed up 20-plus turnovers in four separate games – and exactly 19 in three other contests – going 1-6 in those instances. Phoenix star guard Devin Booker is averaging 4.9 turnovers per game, second-most in the NBA behind only Houston’s James Harden (5.4). Second-year forward Josh Jackson averages 3.0 turnovers, ranking in the top 25 individually and tied with Golden State guard Stephen Curry, as well as Minnesota center Karl-Anthony Towns. 26, 27: Defensive efficiency rankings among the 30 NBA teams for New Orleans and Phoenix, respectively, with ratings of 112.3 and 112.6. For the Pelicans to begin climbing the Western Conference standings – and for the Suns to move out of the basement – they’ll both need to be much more effective at stopping opponents. 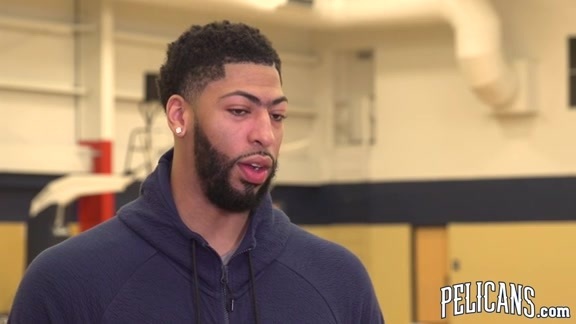 New Orleans hopes it made a positive step forward Wednesday, when it held Chicago to just 98 points, the first Pelicans opponent in ’18-19 under the century mark. Phoenix has not held anyone under 100 points, but in both of its wins (over Dallas and Memphis, both at Talking Stick Resort Arena), the opposition tallied exactly 100.